If you love your current spectacles, having them re-glazed – in other words having new lenses fitted – is a great way to get your eyewear upgraded without breaking the bank. However, choosing the right lenses may seem a bit daunting with so many options available. Here are some top tips from Lenses-In-Glasses to help you decide. ​What Lenses do you Need? The first thing to consider is your prescription and the type of lenses you will need to correct your vision. However, your choice will also be influenced by the type of frames you wear. For example, if you have rimless glasses you may need to choose lenses which are thinner and lighter than those you could choose if you have full frames. The same applies if you’re fashion conscious and want lenses which are modern and ‘less-obvious’ than the ‘milk-bottle bottoms’ of days gone by. Single vision lenses are perfect if you’re near sighted, far sighted or need a pair of reading glasses. Other eye conditions can be a bit more complex and therefore need a different solution. As we get older, our eyesight naturally deteriorates. This is known as presbyopia. Even people who are near sighted may begin to have difficulty focusing on nearby objects such as smartphone text. One solution is to choose bifocal lenses which have a visible divide between one lens strength – for mid-range vision and distance – and the other for near-vision. ​On the other hand, varifocal lenses change power from the top of the lens through to the bottom which delivers a more natural visual experience. 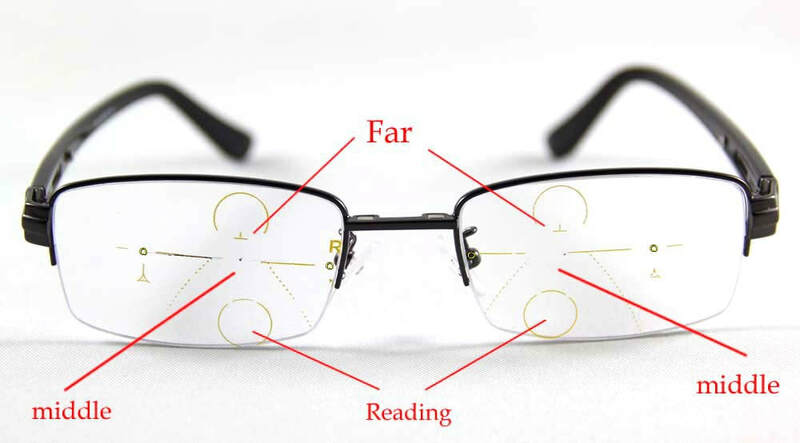 This means you can look straight ahead at distance objects and then look down at your book while maintaining correct vision without any obvious change. ​Which brands do you prefer? As consumers we tend to brand loyal and it can often take quite a bit of convincing to change our buying habits. However, most lens manufacturers produce excellent products to suit most budgets. These include Kodak, Essilor Varilux, Zeiss, Hoya and Nikon. You will only ever have one pair of eyes, so you need to take care of them. That doesn’t mean spending recklessly to get top-of-the-range-lenses fitted when you don’t have the money… but it does mean buying the best you can afford. Look at it as an investment in your long-term vision rather than a short-term cost. If you save money by keeping your existing frames, it’s probably worthwhile spending a bit more to protect one of your biggest assets, even if it means forgoing that night out to stretch your budget a little further to get an anti-scratch coating to protect them or maybe a UV coating to prevent harmful rays damaging your retinas. Whichever lenses you choose you’ll be guaranteed a first-class service from Lenses-In-Glasses.